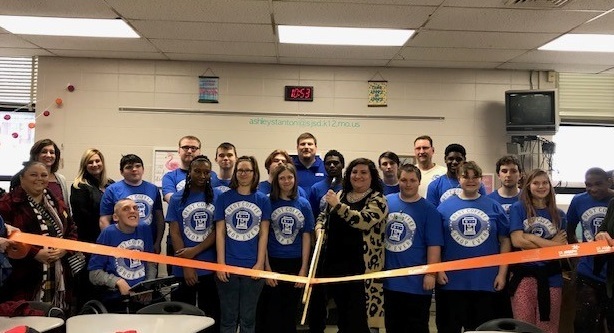 The student-led Best Coffee Shop Ever at Central High School recently celebrated its grand opening with a ribbon cutting ceremony. Ashley Stanton, Special Education Teacher, received a grant through the St. Joseph School District Foundation to start the classroom coffee shop. The coffee shop now serves school staff, allowing the students to practice money skills, professional conversations and professional dress so they are prepared to begin a job once they leave high school. Plans are to expand and open to students in the future.